If you frequented the Second Saturday gallery openings on St. Claude Avenue during the last three months, you might have been captured on a Posing Process camera installed at Antenna, The Front, or Good Children Gallery. 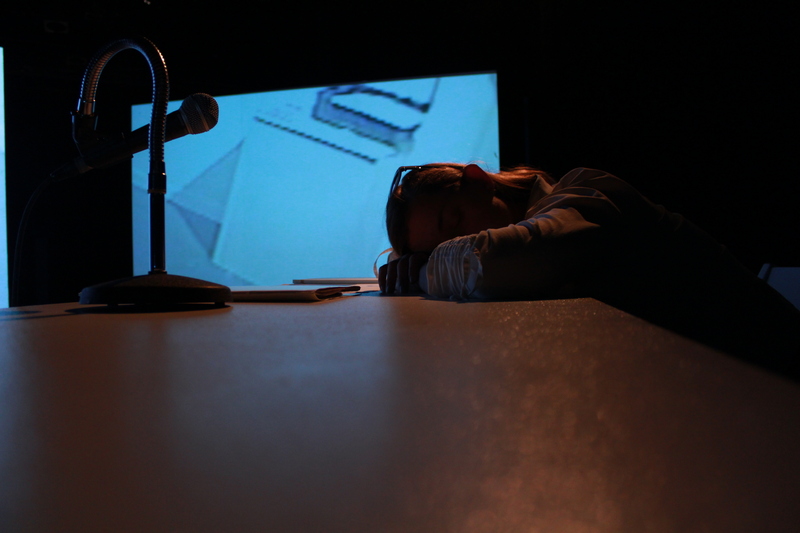 Posing Process is a project that was initiated on the occasion of Spaces: Antenna, the Front, Good Children Gallery, an exhibition curated by Amy Mackie at the Contemporary Arts Center, New Orleans. 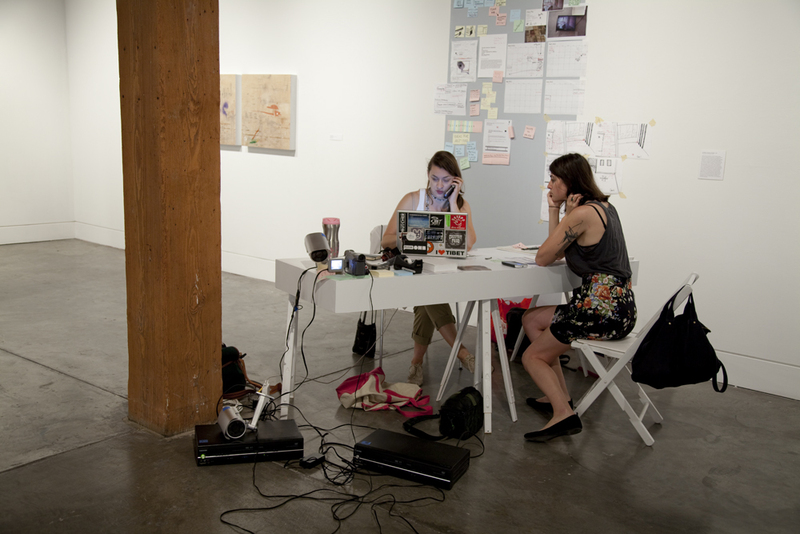 Posing Process started as a symbolic office: a desk was installed in the CAC’s gallery with a promise that, working behind the desk during the course of Spaces, a new multi-media installation would be devised reflecting on collaboration, mutuality, and the energy that is generated through collective action. 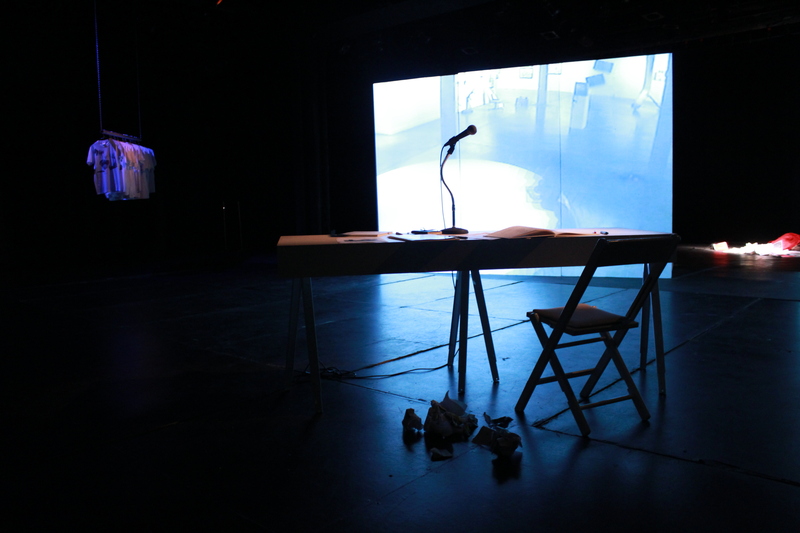 The project abandoned its post in the CAC’s gallery in March, following a protest of artists in the wake of the resignation of the exhibitions curator. 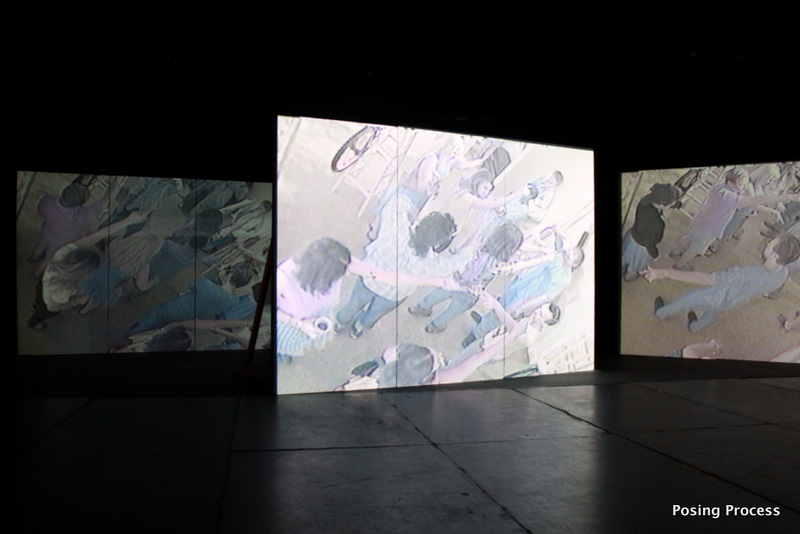 Posing Process continued to develop, off-site, and set its course towards exploring the transformative potential of action in gallery space – organizing Flash Mobs in exhibition spaces and recording security camera footage at gallery openings. 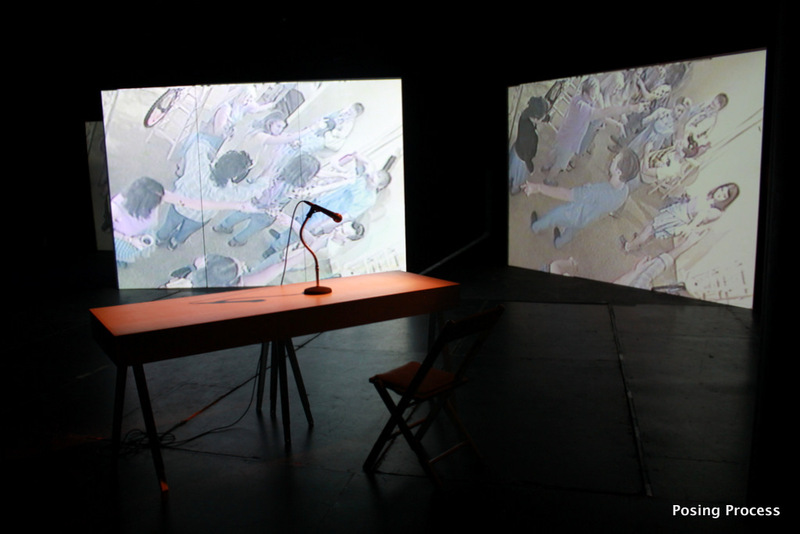 A significant part of the footage captured by the Posing Process cameras was the protest action of the Spaces artists removing their work from the exhibition. 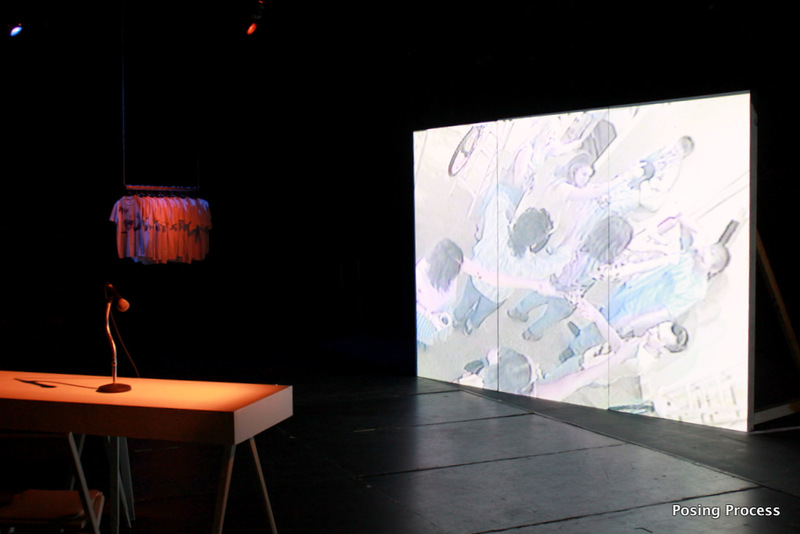 Delivering on the initial promise to mark the closing of the Spaces, Posing Process staged a large-scale, three-channel video installation in the Freeport-McMoRan Theater at the CAC. 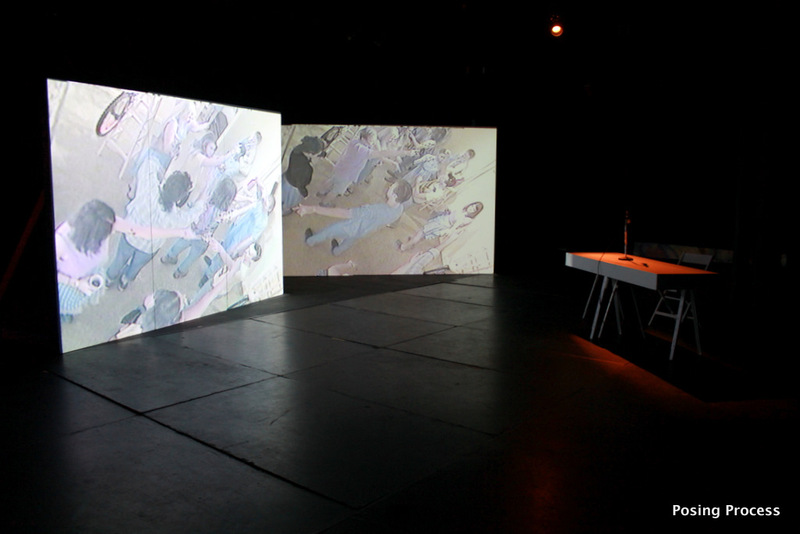 The installation featured the security camera footage of Flash Mob choreographies and sound bites from interviews with individuals involved with the events and issues relating to the Spaces show, the St. Claude art scene, activism and New Orleans in general. 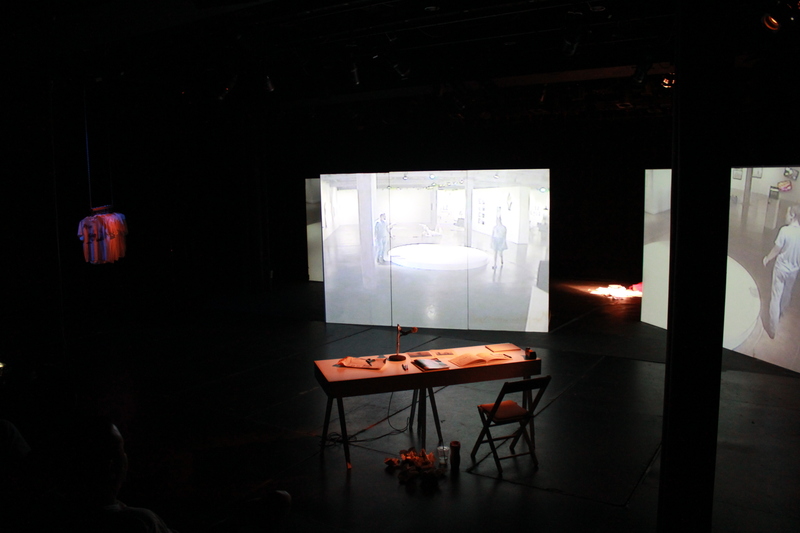 The desk around which the Posing Process plot was initiated was brought into the installation space. 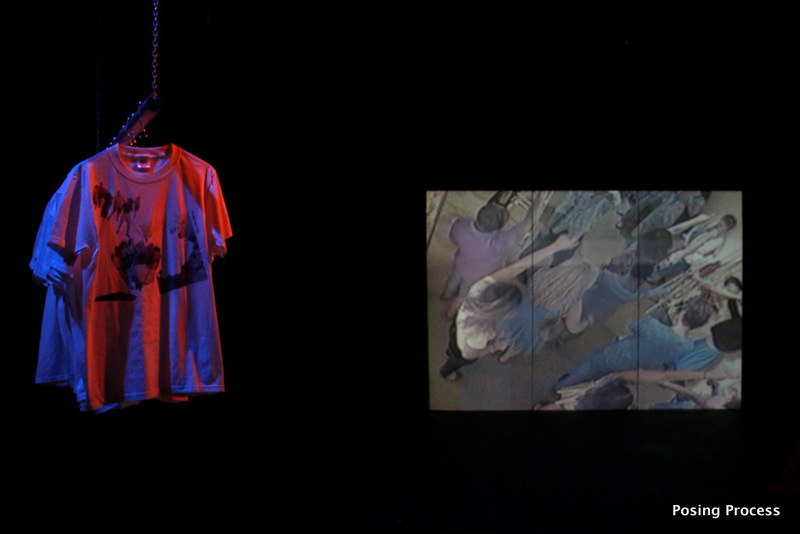 Materials gathered and generated at the begginig of the project, which were removed from the gallery space in turn were scattered on the floor.The final element of the installation were custom made t-shirts that were imprinted with collage images derived from the video stills of the security camera footage gathered during the course of the project. These t-shirts were all given away as thank-you gifts for the persons who participated in the project. Posing Process was initiated by artist Lala Raščić in cooperation with Sophie T. Lvoff and grew to include a wide web of collaborators, including all those who generously participated in the Flash Mob Posing Process actions and those who hosted them; those who took the time to be interviewed; those who waited patiently to be filmed; and those who helped to make the project come together. In particular: galleries The Front, Antenna, and their members—especially Angela Driscoll, Yuka Petz, Alex Podesta, Kyle Bravo, Robin Levy, Natalie McLaurin, Robin Levy, Brooke Pickett, Bob Snead and Jonathan Traviesa; Ricardo Barba; Thomasine Baker; Lindsay Barfield; Angela Berry; Erik Bookhardt; John Clark; Djogo De Lima; Chard Gonzalez; Amy Mackie; Bethany Rogers; the Metropolitan Church Choir; Jay Weigel; and of course, as always, Good Children Gallery. 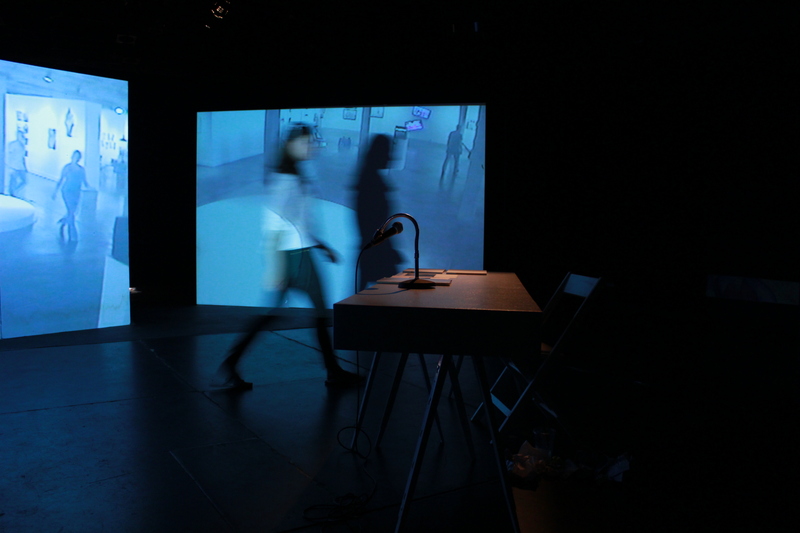 The list of collaborators goes on and will expand before the end of the Posing Process on June 10, 2012.